Thanks to Nick for this photo taken this morning - the first day of the newly relaunched 93 Plymouth - Dartmouth service, which is now known as the Mayflower Link. A nice livery this time which looks good on this bus. If they stuck a non dated registration on these then most passengers would think they were new buses. 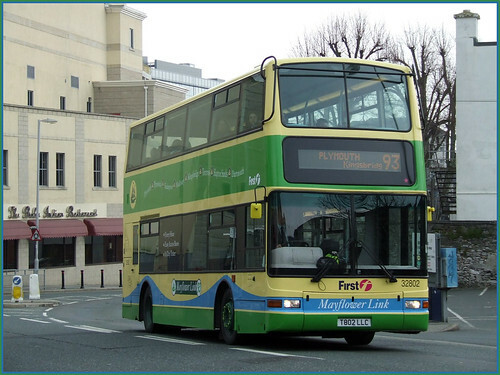 Lets hope this new scheme succeeds and attracts a lot more passengers to this fantastic route. I must be due a day trip soon myself!